Our academic programs are intentionally designed to fit into your life. They will challenge you, expand your horizons and teach you more about yourself than you’ve ever known. Our three professional programs focus on training the whole student. 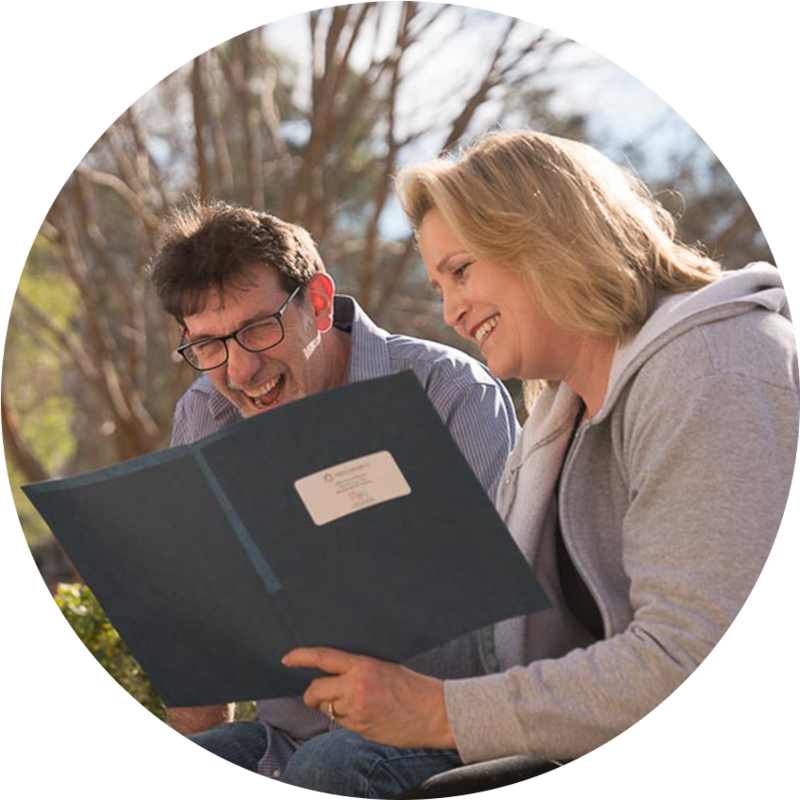 Our Masters of Jewish Studies Programs offer areas of concentration that cover the wide range of knowledge that is necessary to master in the chosen field of study. Upon completion the graduate will be capable of teaching in Jewish Studies programs across the country. No matter in which program they enroll, students are well prepared in a broad, challenging, growth-inducing environment, supported by teachers and fellow students, to face new realities of our contemporary society. Through our Community Education program, the Academy brings leaders from the broader community to share and discuss timely, intriguing and inspirational topics. Whether you're interested in getting your feet wet in hopes of enrolling later on, or you're just interested in a particular topic, we're honored to have you join us. Community Education classes, unless otherwise noted, meet in the evenings at UCLA @ Hillel and are also available for participation online via Zoom. Most classes consist of six (6) sessions that meet once per week. Registration fees vary by class. These classes are open to all -- including current students -- but do not include any credits that count toward a professional or Master's degree. 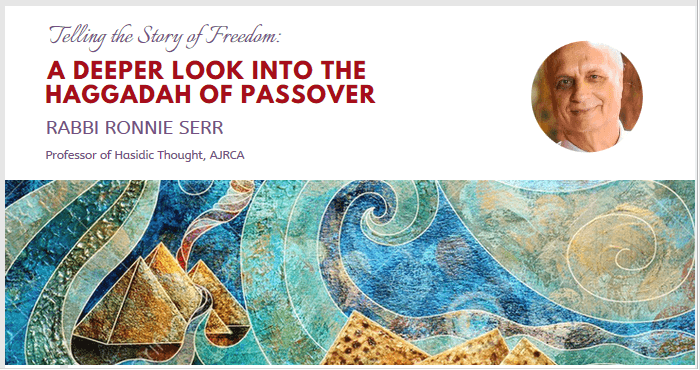 Session 1: We'll begin with an overview of the Oral and Written Talmud, and how it developed. Then we'll discuss the Talmudic "Pursuit of Truth" with a rabbinic quandary about the tradition of singing a bride's praises. What if she is beautiful? What if she is ugly? Session 2: The subject of discussion this week will be the extensive "Property Laws" in the Talmud. Who is responsible for what? Do boundaries make good neighbors? Session 3: The third lecture will focus on the personal pain--and damage to reputation--that can be inflicted by thoughtless or hurtful words. As an example, the famous Talmudic story of "Ona'at Devarim" will be explored. 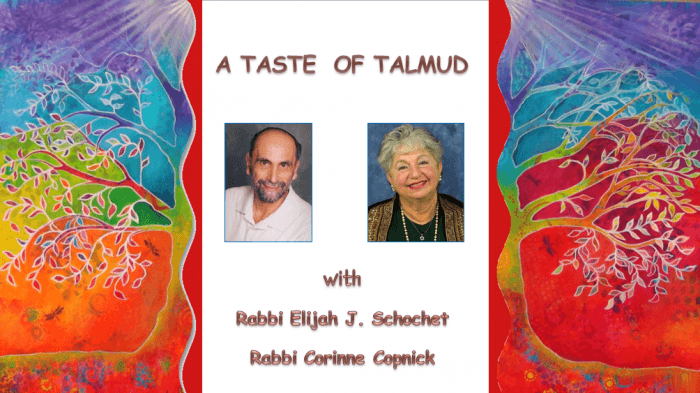 Session 6: Who Were the Talmud's Editors and What did They Do? The role of the many editors who participated in the fashioning of the Talmud over time is a noble story: in fact, the final editor was called “The Prince.” In this session, we'll discuss who they were and what they did. Learn basic reading, writing, conversational skills, and basic grammar of a unique rich and juicy heritage language language, the 1,000-year language of Ashkenazi Jews. This course will utilize specialized handouts as well as a textbook. (More information to be shared at the first class session). PLEASE NOTE: All students are required to have prior knowledge of the Hebrew alphabet (printed and cursive). 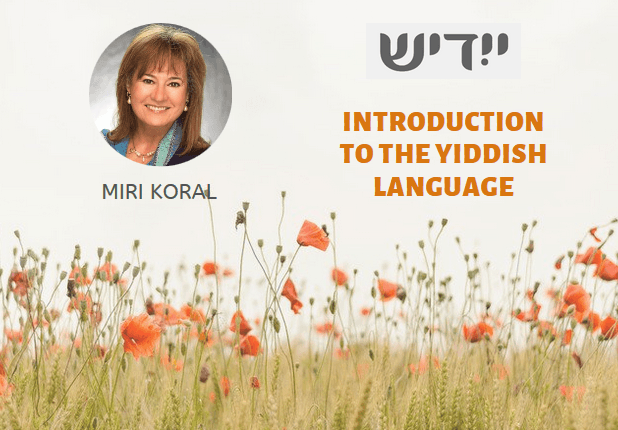 Instructor: Miri Koral has a passion for Yiddish, which she has been exercising for over 20 years as an educator, translator, prize-winning bilingual writer, dialect coach for TV and film, events producer, and international speaker. She is the Continuing Lecturer in Yiddish at UCLA and the Founding Director of the California Institute for Yiddish Culture and Language, which is known for its Yiddish cultural and educational programming (www.yiddishi.org). Her original works and translations have appeared in numerous print and on-line publications. Her most recent book-length translation is a biography entitled, Jacob Dinezon, the Mother Among Our Classic Yiddish Writers, by Shmuel Rozhanski (Jewish Storyteller Press (2016). She holds degrees from Barnard College and Columbia University and is a native Yiddish speaker.